Pattern includes three versions with a holiday theme: Golden Elegance, Star of David, and New Year’s Light Star. Complete directions incorporate the use of beaded pins ond metallic thread wrapping techniques. 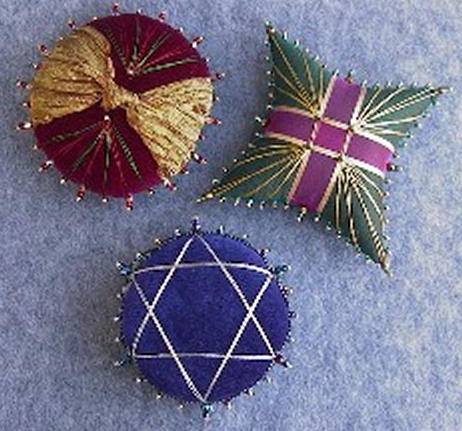 Individual pincushion kits are available upon request.